Tickets, Work orders, Email, oh my! Ok, for those of you keeping score, it has been a while since my last post. This summer has been busy with budgets, strategic planning, and new systems being deployed. Oh, there was a little vacation in there as well. No excuse, just the reality. We are getting ready to roll out the iPhone as a supported platform. Before we turn everyone loose, we have to make sure that we can properly support the device as well as the required desktop connectivity (what in the world do we do about iTunes??). As many of our users do, I strolled up to the service desk and asked them to order a couple of iPhones. In the initial excitement they simply agreed. Good, done..... Ahhhh, but not so fast my friend! A few minutes later, I had a visitor from the service desk who asked me to fill out and sign a work order. What?! Seriously? Hey, I am the leader of this group, this only applies to the other users, right? Wrong! This planted a seed for my next blog post. Why are we doing work orders, tickets, etc. and do our users understand it? First off, no process should exist just for the sake of process and bureaucratic B.S. We should always be asking ourselves, regardless of our work activity, if there is a better way. The work order process is actually very effective. So, why does the IT team create tickets, work orders, and ask you to submit formal project requests? The answer to this has many facets. The first of which is incident management. On an average month there are over 1,500 calls made to our service desk. When you have only two people handling those calls you need a way to make sure nothing falls through the cracks. With each call, a ticket is created in our service desk system. This ticket is used to make sure that if the issue cannot be immediately addressed it will enter a queue and addressed as soon as possible. The added benefit of this process is that with each ticket, we build a database of problems and resolutions. This can help make the next call on the same problem quicker and easier to solve. 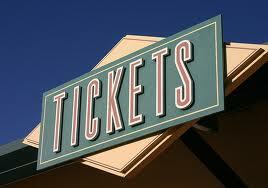 We also review the tickets to find trends so that we can prevent problems from happening again. When you request a new PC, an iPhone, or any other service requiring an expenditure, a work order form is required. From a financial perspective, we need to have evidence that someone other than an overzealous IT person is ordering all of this stuff. The financial auditors require and appreciate it. These work orders turn into tickets just like incidents do. They go into the queue and are addressed based on the type of request and the business impact. We have a key operational metric that we track on standard requests to see how efficient we are. Today we average just over 4 business days. Our goal is to be at or below 4 days on average for all standard requests. Nobody likes bureaucracy. The ticket and work order system is intended to provide you with the desired level of service you expect as well as provide key information to help make the business run even better. August is our annual performance review month. I thought this would be a good time to share some of my thoughts on the process of reviewing performance. A manager sits down with an employee for their annual performance review. The two have met one-on-one every two to three weeks for 30 minutes throughout the year. The recurring meeting was set up by the manager with all of her direct reports. The conversations in the one-on-one meetings have been pretty benign with nothing significant resulting from them. All appears good. The review starts out as most do with sharing of pleasantry’s (how's the family, how was your weekend, etc.) and idle chit-chat. After a few minutes they get around to the task at hand - the performance review. If this were a movie, this is where the dramatic music starts and the dark storm clouds move in. The hammer is about to come down and the employee has no idea it is coming. It turns out that his performance has been poor and he is being terminated. Total shock. He is feeling ill as his manager goes through the list of issues....it is long. As his manager rambles on, she starts to sound like Charlie Brown's teacher, the words no longer make sense and the shock has put his mind into some other place. It is a surreal moment for the employee. If the story is not ringing any alarm bells for you, I hope you are not a manager. No employee should walk into an annual review and be surprised, let alone terminated. Those bi/tri-weekly meetings the manager had are re-calibration opportunities to keep performance on track before it becomes a problem. Your job as a manager is to lead, motivate, coach, and address problems when they occur, to optimize employee performance, and to always have your team know where they stand. Think about it this way - if you have a flat tire are you going to wait 6 months to fix it? Of course not. You might even go to http://www.righttire.com/ to buy a new set of rubber for your vehicle. Why should you operate differently at work? The annual ritual that companies go through to provide feedback is outdated and quite simply a waste of time in its current form. The intentions are noble - make sure everyone knows where they stand, review accomplishments, talk about career development, alignment with business goals and values, etc. The problem is that the results often times look more like a tee-ball tournament where everyone gets a trophy than a constructive session that provides real, honest feedback. Why is that? Nobody likes conflict. (Ok, most of us don't like conflict. There are a few of you who relish in it.) It is much easier to put a positive spin on things than to provide negative feedback. Give everyone a passing grade along with the blended merit increase. C'mon, our employees deserve better than that. Your company deserves better than that. Honest feedback when negative can be hard to do, but necessary. Don't get me wrong, reviews are important. But they have to be genuine and timely. Waiting until the end of the year to tell someone they have made a mess of things is bad management and unfair to the employee. What in the world can anyone do about an issue from six months ago? More often than not, you forget and it is never addressed or corrected. When you sit down at the end of the year, nobody should ever be surprised when they hear that they are doing a good job or a bad job. The only reason for surprise should be that they were not listening. - Provide regular, immediate feedback - both positive and negative. - Be specific, constructive, tactful, and honest. - Stick to the facts and leave out the emotion. 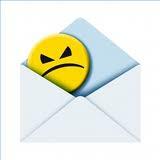 - Negative feedback is an opportunity to correct an issue. Don't be afraid of it. - No surprises. Everyone should know where they stand - always. The annual performance review should be a summary of what both you and your employee already know. It should be a very quick conversation about the past (the known) and focus more on the future (the unknown). Remember: Work is not like tee-ball. People don't get a trophy just for showing up. As we were going through some organizational changes, it struck me as to how people were interchanging the term "leader" and "manager". I think that mangers can be leaders but leaders don't have to be managers. This subtle but important distinction is worth some further consideration. I found some good insight at changingminds.org regarding the characteristics of leaders and managers and added some of my own thoughts. 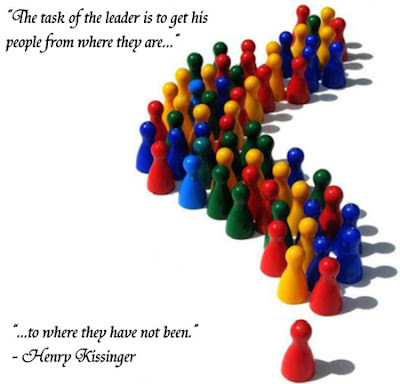 Ideally, your organizations managers are truely leaders. The term "manager" below refers to the non-leader manager. Leaders have followers, managers have subordinates - Ask yourself if people are willing to follow you or if they are doing so only because they fear for what you could do to their career. People naturally follow leaders because they share a common goal, passion, or vision. It is a matter of choice. People work for managers because they have to. Leaders don't require titles, managers do - Leadership is about your actions, not your title. Leaders don't require authority; they must be armed with vision and passion. Managers require a title because nobody would listen otherwise. Leaders have a vision for the future, managers are short term thinkers - A leader takes actions for today and for tomorrow. Leaders have a vision that others rally behind. Teams are more engaged around a shared vision. Managers tend to be just about the next task at hand. Leaders are proactive, managers are reactive - Leaders see opportunities before others do and spend time sharing their line of sight with others. Managers tend to be fire fighters, always running to put out the next blaze. Leaders give credit, managers take credit - The leader recognizes the value of the team and gives them credit for the success of the team. The manager tends to take the credit; after all, they are good fire fighters! Leaders challenge the status quo, managers accept it - This comes back to vision. Change is hard but often times necessary to stay ahead of the competition. Leaders are driven crazy by those who explain that the reason they do something a certain way is because they always have. Managers want you to keep doing it the same way because it worked in the past. That may be true, but future success requires continual improvement. Leaders are passionate, managers plan the detail - It is difficult to have followers if they do not see that you are passionate. Have you seen the manager who is not fully behind or passionate about a project? When that happens, does anyone on the team really get excited or put forth their best effort? Nope. True leaders have a passion and share it to the point that it infects the entire team. When that happens, the team will succeed. Leaders grow the team, managers control the team - A key element to leadership is setting your team up for success. Leaders recognize and leverage the talent of the team. Developing the team to achieve at levels they never imagined is the sign of a true leader. Managers give little thought to developing the team, and focus more on controlling the tasks than individual growth, development, and change. Leaders set the direction, managers are controlling about the task - If you are passionate and set the vision, then the direction naturally follows. The team can carry this through to execution. This is empowerment. Managers care more about controlling each little task and can lose track of the big picture. Leaders make the tough call, managers avoid it - It isn't always easy being a leader. You have to make the tough call on occasion. Your team will respect that. Managers tend to avoid conflict. They are the ones who invented the "everyone gets a trophy" syndrome. They won't give negative feedback, deliver bad news, etc. In their mind it is often easier to keep everyone happy. Leaders deal with it. Organizations must be filled with leaders. Remember, leaders are not required to have a title to lead. The must have a vision, be passionate, rally the team, and sometimes make the tough calls. No matter what your title, you can be a leader. Where do you fit? Located in the finger lakes wine region of upstate New York in the quaint village of Skaneateles, this place is number 1 on my list of get away destinations. The french country architecture sets it apart from most destinations. As soon as you walk in the door you get a sense of calm and relaxation. The food and wine menus are five star. They have a first rate spa as well. The village is great for finding unique treasures and the surrounding area is home to many excellent wineries that offer tours and sampling. Simply put, this is a great destination. 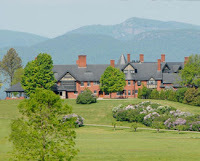 Located on the shores of Lake Champlain just outside of Burlington Vermont, this is a memorable destination. Built in the late 1800's as a model argricultural estate, it is now a combination educational farm and Inn. The Inn itself is in the former residence - ie mansion. Due to the high heating costs for this 19th century building this is a three season destination with no winter availability. The former dining room now is home to an excellent restaurant. Strolling the grounds can be very relaxing. The staff will even put together a picnic basket of their own breads, meats, and cheeses for you to take on your walk. The city of Burlington is just 7 miles away and has lots to offer for food, shopping, and other fun. You are not far from some great attractions like the Ben & Jerry ice cream factory (and tour), the Vermont Teddy Bear factory, and more. Food, golf, spa, shopping, you name it and they have it at this destination. Located in Kohler Wisconsin, this is another relaxing place to spend a weekend. You can pick a quiet weekend or one of the many with planned events - if that is your thing. While there, don't forget to plan a little time at the Kohler design center. Even if you are not looking to make any changes at home, it is interesting to see some of the creative things that can be done. They also have a very good museum at the design center that chronicles the history of the village and the company. This one is a little personal for me as both of my grandfathers spent their careers at the Kohler Company. I don't know about you, but for me there are way too many meetings. Now, don't get me wrong, meetings can serve a very important purpose. It is a way to get all of the right people around the table to hash out an issue, make an important decision, get guidance, provide updates, etc. The problem I have is that too many of these meetings feel like they are more social events than focused activities. They are meetings for the sake of meetings. Is there a good reason that meetings have to be 30 or 60 minutes? Why can't we be done in 22 minutes? A meeting of 6 senior level assocaites costs about $500/hr. Think about it. Are you going to get $500 in value from that one hour chatty meeting that had no agenda, no minutes, and started 15 minutes late? Probably not. It gets worse. Have one meeting a week with those 6 people and you are spending over $25,000 per year. Imagine the total company cost for all of the meetings that don't bring value. Why is everyone falling asleep? What about those meetings that are scheduled for two hours or more? Two hours, really? Do we have that much to discuss? The longer the meeting, the more likely people are to check their email and do other things not associated with the meeting. Are they contributing at that point? Some people use meetings to address an issue that is immediate. Don't be that person! C'mon, get up out of your chair and walk over to address it right now. You will probably save a great deal of everyone's time, including your own. Everyone knows what time the meeting starts. You should start it as scheduled. Waiting only wastes the time of those who bothered to be on time. Are you the person that comes strolling in 10 minutes after the meeting starts? Knock it off! When this happens, you ususally have to be brought up to speed on information everyone else already knows. You then add your two cents worth of input and send the meeting completely into the weeds. If you can't be on time, don't bother. Read the minutes to find the outcome. To try to get better at this whole meeting thing, let's try something new. Here are some rules to consider. Schedule only the time you really need for the meeting. Getting done early is ok. Everyone will appreciate you for it. My rule of thumb is keep it under an hour. After that you lose everyone's attention. An agenda must be published at least one day prior to the meeting - no agenda, no meeting. I suggest including the agenda right in the meeting invitation. Think twice before making a meeting recurring - there is a time and place for it, just use it wisely. Only invite those that have to be there. No need to FYI people about your meeting. Checking email, texting, etc is forbidden - Consider installing a mobile phone basket outside the meeting rooms. Prior to entry you must put your phone in the basket. Meeting minutes must be published within one day of the meeting. If not, the meeting never happened. Too many rules? Some may argue that it is. Hopefully it will get everyone focused to maximize their time and the value created from a meeting. Remember, if the meeting doesn't bring value, why meet? I don't have all of these but since I am more about the chase than the capture (as most with the Y chromosome tend to be) I like to follow what is out there (the chase). Here are some gadgets that I think are worth the chase and the capture. 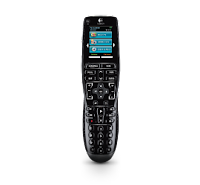 Logitech Harmony Remote - If your AV system has multiple components, each requiring their own remote (TV, sat/cable box, surround system, DVD, etc) Logitech makes a very good universal remote for the money. The Harmony line allows you to program buttons that appear on the touch screen to create shortcuts. The multiple device capability gives you one-click control to turn things on and off. All of the setup can be done on your PC (using a free application) and you simply connect the USB cable from the PC to the remote to transfer the settings. Anything Apple - iPad, iPod, iPhone, MacBook - I am not sure what to say about this other than if you don't have one of these, what in the world are you waiting for? This is technology that simply works. No manual required. Just turn it on and go. I have not talked to anyone who expressed any buyers remorse for having one of these. If you don't have one of these yet, turn off the computer, crack open the piggy bank, and run down to the store - right now. day. Ford got it right. 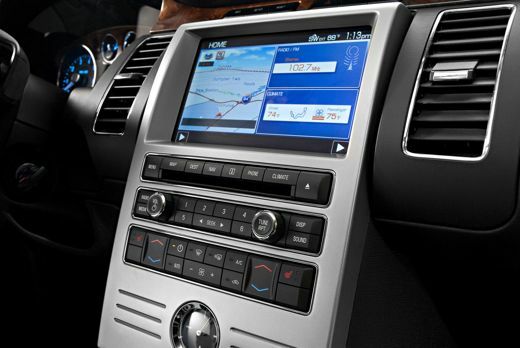 Their Sync system provides hands free controls of audio, navigation, phone, heating/cooling, and more. It inegrates easily with bluetooth enabled phones. It will even read text messages for you if your phone supports the MAP bluetooth protocol. Indexing of audio devices like your iPod is automatic. You can even tell it what playlist to play from your iPod using voice commands! I don't say this often, but Microsoft got this one right with the help of the Ford IT team. Sonos - Sonos is a wireless sound system that connects to your WiFi network. No in house wiring is required to make this system work. It can play directly from your PC, your network storage devive or from an iPod connected to a wireless doc. 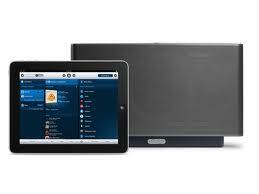 You can control it using a free app that can run on your Android phone, Android tablet, iPod touch, iPhone, or iPad. You can have one speaker or scatter them throughout the house. 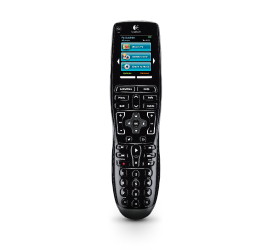 The remote allows you to select the must and which speakers to play it on. Ok, I have one of these. To quote my spouse - "the best present, EVER!" For those wondering, this says more about the quality of this sound system than any of my previous gifts! Setup time, including removing all the packaging is less than 15 minutes. Simply awesome. Sports GPS - There are many interesting options out there but two jump out at me. 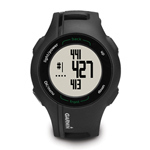 The golf watch GPS from Garmin requires no course downloads, is simple to use, and is in line with the pricing for hand held units. If you are a golfer, a golf GPS is a wonderful aid. If you are a bicylist, check out the Garmin GPS for bikes. The nice feature of this, other than preventing you from getting too lost, is that it tracks your speed, cadence, and course. You can then upload the workout to a personal website and even share it with friends. On your next climb of the famous Mont Ventoux, make sure you have your GPS along to prove just how tough you are. Don't be a slave to your email. It really should not be for real time communication. That is what the telephone and in-person visits are for. Try checking your email only a few times a day. Tell those you work with that you will check first thing in the morning and early afternoon. Beyond that, turn the bloody thing off. At a minimum turn off the notifications you get regarding new mail in your inbox. You might be amazed by how much time you save. Ok, just knock it off, would you? Think about it before doing it. Does everyone really need to see your reply? Will they care? Will they be able to take any action as a result? Using a background image is not appropriate in business email (or for that matter - ever). It is distracting and can really mess things up when someone replies. Save the background gimmicks for your webpage or blog. By their name, signature blocks are for, well, signatures. Including canned closing sentences (or for some paragraphs) prior to your signature isn't necessary, and at times annoying. Put just what you need in the email and leave the canned message out. Email readers have gotten better, but images embedded in an email are still problematic. Office email is generally not the place for building brand awareness. Does it add value when communicating to your customers? Maybe but I question the value add. Oh, and all those silly fonts and sizes. It does say something about you when you send email to me using Comic Sans in 18pt font. The impression isn't a positive one. Use the standard font and size for your messages. By the way, nobody is fooled by the Script font in your signature. Keep it simple and use those creative thoughts and ideas to innovate. If you need to shout at me, stop by and shout. I am ok with that. Don't run the risk of insighting the crowd by using ALL CAPS. It is not necessary to always reply to an email. If the reply is simply an acknowledgment, think about the recipient. Will a reply add value? If not, don't send it. It will be one less email that someone has to open and then probably also send an acknowledgment. The blind copy can be useful but more often than not can have evil under tones. If you don't want people to know who else you sent an email to, maybe your motives are wrong and you should reconsider your actions. After a few volleys of email back and forth, pick up the phone or walk over to discuss it. Stop hiding behind the email and work it out directly. Think about the purpose of your email before sending it. Are you providing information that is useful or only covering your tracks for when things go wrong? If I am taking time to read an email I want to get useful information. The CYA stuff only serves to hurt the senders credibility. Don't do it. Businesses that want to survive for the long term must always look for new and better ways to operate. This can come in many forms, from process improvements to new services and products. In a word, it is about innovation. To remain viable we must continually innovate. You don't see anything in this definition that indicates you must dream up the next coming of Facebook to innovate. Putting that expectation on innovation is setting you up for failure. You have to think differently to innovate, including what it means to be innovative. Disruptive innovation - This is creating the next big thing. Changing your market completely. Doing something that nobody has done so far and making it difficult to quickly replicate. Consider what it takes to improve a process. Using new techniques or tools to make a business process more efficient is a form of innovation. It is the ability to take techniques that may already exist and applying them to your business. It is not necessarily the bleeding edge stuff that defines something innovative. Look at your current product/service offerings. 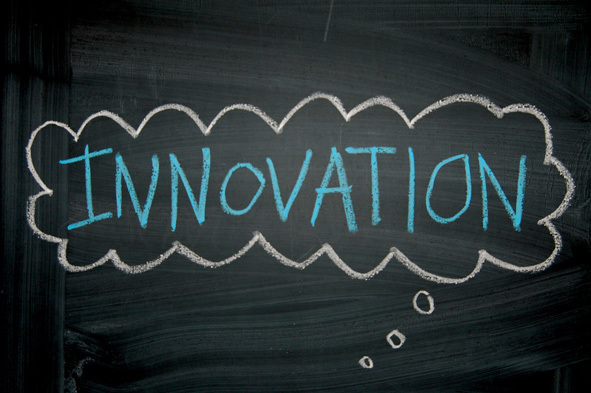 Adding something new that compliments your current product/service or building on what you already have is innovation. This type of innovation is usually closer to your customer than process innovation. Would we like to come up with the next market disrupting innovation for our business? Of course! But holding this as the only example of what innovation is will set you back. 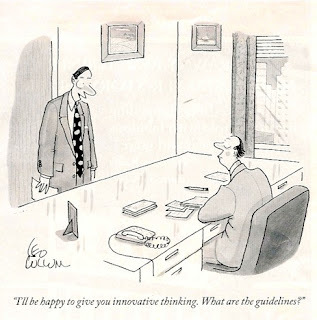 Not only will you not get operational improvements, it is very difficult to ever get to disruptive innovation without an innovative culture in place. You can establish that culture through incremental innovation. Start small and build up so that everyone understands what innovation is and how to get there. In the mid 90's a friend and I came up with a crazy idea. We were working on the largest software development project of its time and had created a program to help the other software developers track their changes, bugs, and releases. One night I had a dream (really!) that we started a company and turned this into a commercial product. When I shared this idea with my co-developer, he laughed at me. Quite hard I might add. I persisted. After some discussion with our employer we licensed what we had developed and spun off a new company. To start, we knew that what we had developed was going to have to be thrown away. Only the framework of the initial idea remained. Why would we do this? Hadn't we sunk a lot of time into this already? Yes, we had. We needed a strategy. To make this idea viable, it was going to have to work in ways that we could not possibly see. Our mantra from the beginning was just that - build a solid product that could be used in ways we could not yet imagine. It worked! Although targeted for developers of software, we really did see our product used in ways we never could have imagined. 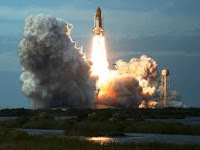 Our product was used to upload and download information to the Space Shuttle! Our product was used for the creation of Disney movies starting with the Lion King to manage artist drawings. Our product was used by Alta Vista, an early pioneer in Internet search engines for automated tracking of customer inquiries. We even evolved it to be our customer relationship management (CRM) tool. We had stayed true to our vision and built a solid solution that would be used in unique and unanticipated ways. Our innovation enabled our customers to innovate. It took great ideas, great people, and admittedly some amount of luck. It still makes me smile to reflect on what was achieved from such simple beginnings. The company has long since gone but the concepts and ideas remain. We have put programs in place to help our associates understand our strategy and to "Find a better way." The challenge for your innovation starts with the definition. You must decide what innovation means to you. You need to build this into your strategy and develop your culture to embrace innovation. To make it work, you have to live the vision and the strategy every day. No innovation is too small. Will every idea work? Probably not. Is that ok? Absolutely. Culturally, your people have to become comfortable making suggestions for innovation and those receiving the ideas must be good listeners. It is imperative that everyone live by the adage that no idea is a bad idea. Even "bad" ideas can have nuggets that can lead to an innovative idea. Innovation comes with risk. To have a successful innovation program you have to be willing to accept failures along with the success. Find a way to learn from failure, don't ever punish failure. That will immediately kill any desire people have to innovate. Innovation is about change. Your culture will have to be willing to accept change to innovate. The status quo simply is not good enough. Collectively your innovations will make your business even more successful than it is today. What are you waiting for? Let's innovate! Consumer devices in the enterprise - It's all Good! With all of the gadgets in the market today, from tablets to smartphones, all having personal productivity tools on them, what should we be doing within the IT organization to react? We have a few choices. Ignoring this will be like a staph infection. If you don't deal with it, it might just kill you. Picking just a few devices that meet IT specific needs is very self serving and not customer focused. Sometimes it is easy to forget that one of our marching orders is to deliver technology that brings value by improving productivity. We have to find a better way. The use of these technologies in the enterprise is inevitable. So, why not be proactive and find a way to enable them within the enterprise? Well, that is just what we are doing. Nearly two years ago we saw this trend and embraced it. We didn't know which devices were coming, just that they were out there with more on the way. We needed to find a way to meet the user needs while still controlling our costs. The strategy that we have developed is to focus on information access rather than on any particular piece of hardware. There are two key elements to execute on the strategy. First, leverage the cloud. Information contained in documents, dashboards, etc. are or will be accessible through secure cloud based solutions. Second, focus on the application rather than the device. By finding an application that can provide secure access across multiple platforms we need only worry about securing and supporting the application. The user retains responsibility to support their personal device while IT assists in the setup, configuration, and support of the application that will run on the device. This greatly simplifies matters and allows the user a much broader choice in the device as well as when to get a new one. To enable the access to email, calendar, and contacts, we selected Good Enterprise. Users simply download the app from their device app store and get a license key from IT to get started. 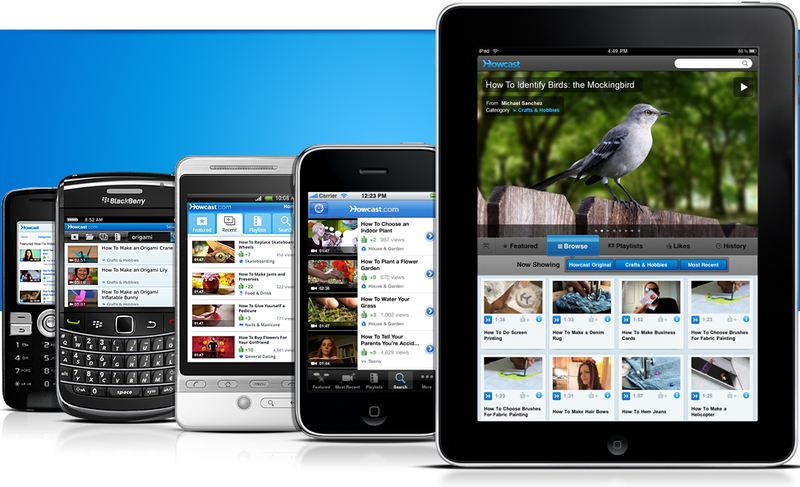 An annual license fee is charged to the users organization for the application. Pretty simple setup. Is Good perfect? No, but nothing is. It is a solid solution or as they say "It is all Good!”. The convergence of the consumer world with the corporate world is happening fast. We chose to be proactive, develop a strategy, and learn through execution. So far, so Good! 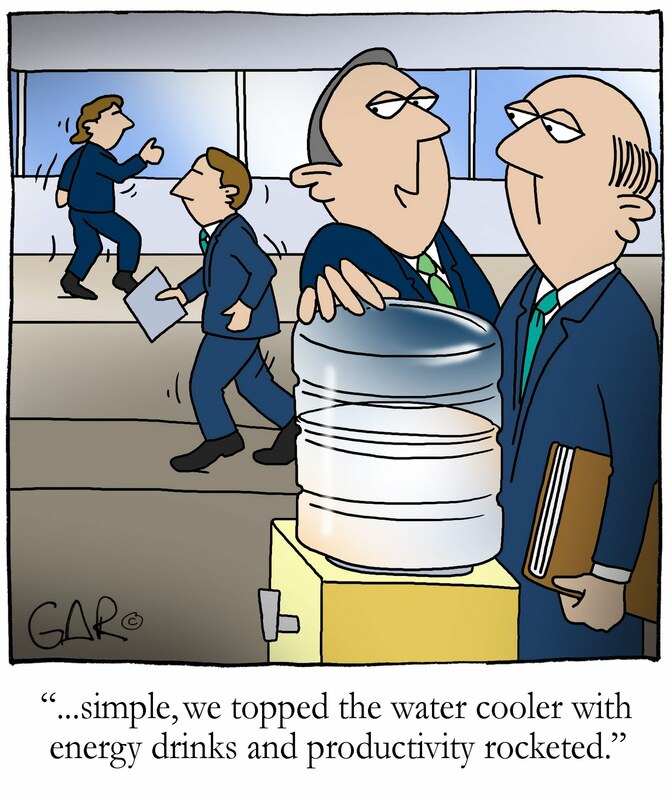 A little humor - How does wellness impact IT? Not all calls that come to the IT service desk can be solved with technology. This is a true story about someone I know. 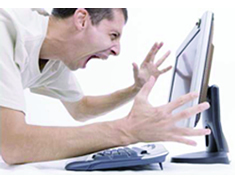 Jason was very upset when he called the IT service desk to report a problem with his computer. He said that randomly, while sitting at his desk, the computer would start making beeping sounds and the cursor would jump all over the screen. It was hurting productivity and he was convinced he had a virus. The service desk ran some remote diagnostics on his computer. All appeared fine. The problem had stopped just before the call so the service desk asked that he call back if it occurred again. Two weeks later the symptoms appeared again and Jason called the IT service desk. They tried some additional diagnostics, replaced his mouse and keyboard, and ran some software updates. No matter what they did Jason would intermittently have the same problem over the next several months. His frustration was increasing and after several more phone calls to IT, they finally decided to replace his computer with a brand new unit. All was good for the next few months. When the problem reappeared, Jason was livid. The cursor was speeding across the screen and the computer was beeping again. That was the last straw. He was going to escalate this to someone in charge. As he placed the call he realized that his belly was resting on the space bar. As he leaned back, the beeping went silent, the cursor stopped moving. When the IT serve desk answered his call, Jason asked them to close the ticket. To his credit, he told the service desk what he had discovered. It was time to go on a diet and start to exercise. Most of us have heard or seen the campaign with Smokey Bear saying "Only you can prevent forest fires!" How does that apply to technology teams? It is not about animatronics or other techno trickery required to make the bear talk. It is about a philosophy and organizational maturity. As IT organizations transform from supporting a small number of users with simple systems to serving a diverse enterprise with complex systems, the team mentality has to change as well. For many small companies or startups, having a few IT people who can be the jack of all trades is just fine. They typically are very good at trouble shooting problems (ie putting out fires) and are always looked at as the technology heroes. These fire fighters don't realize it, but many of them are technology arsonists as well. Are their intentions malicious? No. They have simply been caught in a perpetual support mode which lacks strategic value for an organization. These fire fighters need to develop new skills to provide more robust and scalable solutions. Solutions that eliminate the fires. Solutions that can grow and scale with the needs of the organization. Solutions that add long term value to the enterprise. As our organization continues to grow and mature, we want to eliminate fires; requiring fewer fire fighters in our organization. We are transforming our former fire fighters to become Smokey Bears - preventing the fires from ever happening. To make this transformation we are providing training, putting new processes in place, and upgrading systems to be much more resilient. 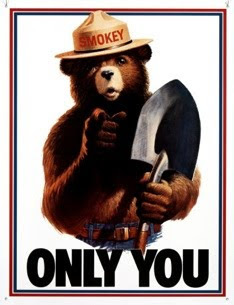 Remember, whether in the forest, in the home, or in the office - Only you can prevent forest fires! Associate Engagement. What is it all about? With the results of the associate engagement survey recently published, many questions come up. Questions like "why should I care?" and "it doesn't matter what I say, nobody really reads this stuff, do they?". Well, we do care about the engagement survey and the feedback that the associates provide. We care because we want to make this the best place to work. We care because a highly engaged associate is a highly productive associate. Did you know that a disengaged associate is only 50% to 75% productive and a fully engaged associate is between 100% and 122% productive? Changing our level of engagement by just a few percentage points can result in a million dollars in increased productivity. So, what are we doing with the results? 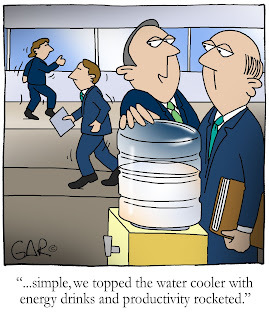 Spiking the water cooler with energy drinks is not the answer to improve engagement and productivity. We have been surveying all associates for three years now and have very good trend information. The divisions and support departments have been reviewing their results and will be working to not only address some of the areas of weakness but also try to not lose ground on the things that are going well. Too often we just focus on the negative and end up losing what is going well. Last year, the IT group put together a team of volunteers to make recommendations on two areas of strength and two areas of weakness. They reached out to their fellow department team members to understand just what was behind the results. They then made recommendations to the management team on what was working, what wasn't, along with ideas to make them all better. The result? A significant improvement in all four focus areas and an overall productivity increase of nearly 10 percentage points! So, why should you care? Because your inputs help to fuel change. That change will result in a more productive work environment. Associate engagement is not just a management issue to solve. All associates play a role in improving our overall engagement and productivity. Working together, we can truly make this the best place to work. On occassion I am asked why people can't get a Mac or other non-windows computer at work. Does the IT department have an axe to grind with the folks at Apple? Are we just too nerdy to understand the hip design and slick features of this forbidden device? The real reason comes down to cost. Not the cost of the device itself, but the cost to support the device. Having a standard platform makes it easier and more efficient to support the user community. With each new type of desktop computer we have to support, our costs can increase by 25% to 50% or more to maintain service levels. 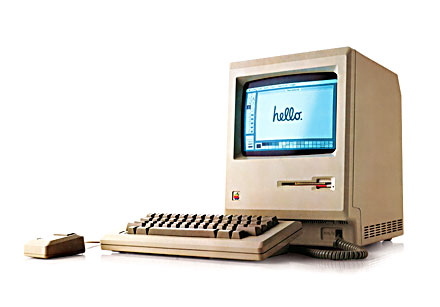 Many of the applications that are on the Mac have an equivalent that can be run on a PC as well. The PC may require an upgrade to fully function but this cost is much lower than the added cost to support a unique device. Does that mean that we will never see a MacBook in our business? Well, never is an awful long time. What it does mean is that we have to consider the implications, making sure that it is about function, not fashion. I will be posting my thoughts, observations, and other musings regarding technology and other topics related to happenings inside and outside the company. Some of them may be timely, others somewhat random in nature. For the record (and legal folks) the views expressed will be my own and will not necessarily reflect those of the company. I look forward to sharing my thoughts with you. If you have any questions or comments, please contact me.